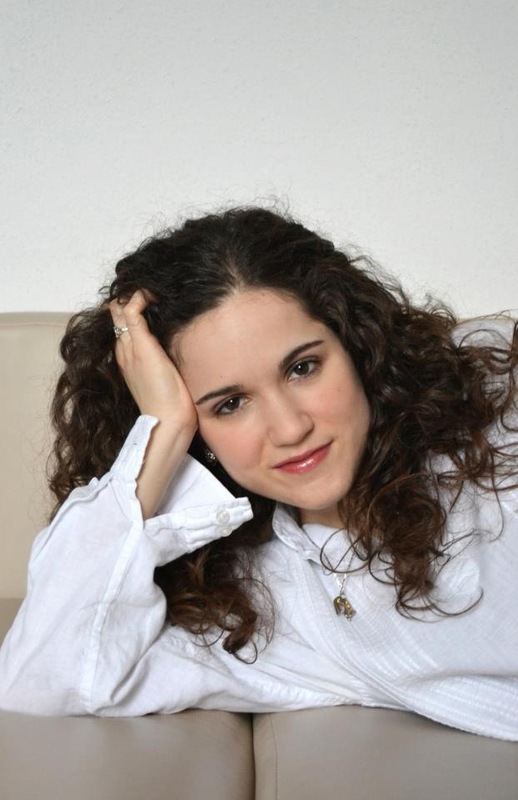 Before entering the prestigious Escuela Superior de Música Reina Sofía in Madrid to study with Zakhar Bron and his assistant Yuri Volguin (2005-2011), she studied in Zaragoza under the direction of Valeri Gazarian. During her studies in Madrid, Alma was awarded by the Queen Sofía of Spain as the most distinguished student of Zakhar Bron’s Chair. As well she was the 1st violinist of the Albeniz Quartet, which was awarded as the most distinguished string quartet for 3 years, in the Chairs of Rainer Schmidt, Alasdair Tait and Heime Müller. They also had the opportunity to work intensively with all the members of the Alban Berg Quartet, Walter Levin, Menahem Pressler and Ferenc Rados among others. During the years 2013 and 2014, Alma was a member of the Jubilee Quartet based in London. They won the 2nd prize at the Karol Szymanowski International Quartet Competition in Poland. The quartet made many tours around Europe and Canada (with two remarkable concerts in the Wigmore Hall). They had their studies in the Instituto de Cámara of Madrid with Prof. Günter Pichler and in the Hochschule für Musik in Basel with Prof. Rainer Schmidt, as well they received the guidance of the Belcea Quartet. They were selected as “Quartet in Residence” in Aldeburgh they participated in the prestigious MISQA (McGill International String Quartet Academy) in Canada. Alma is a passionate performer of 20th and 21st century’s music, being the first violin of the Bayona Ensemble, Resident Group at the Zaragoza Auditorium, specialized in contemporary music. She has performed works by Kaija Saariaho, Gabriel Erkoreka, Edward Nesbit, Tomas Marco, David del Puerto, Fabián Panisello and John Corigliano among others. In 2011 she performed the world premiere of “Nosferatu”, a violin solo piece dedicated to her by the composer Antonio Ballestín. She collaborates regularly with the pianist David Pellejer (Duo Olite-Pellejer) with whom she organizes the “Curso para Jóvenes Músicos Vila de Montalbán”. As well she works regularly with the “Orquesta de Cadaqués”, the “Orquesta Sinfónica de Madrid” (Teatro Real) and the social projects “Musethica”, “Live Music Now” and “Fondation Résonnance”. She has done recordings for the BBC, TVE, RNE and Telemadrid. Between 2006 and 2010 she enjoyed the scholarship for artists at the Residencia de Estudiantes of Madrid. From September 2019 Alma Olite will become violin teacher of high studies at the “Centro Superior Progreso Musical” of Madrid.